"The bigger the game, the more it's about the win, and as the Crunch is the biggest game of all, no one cares how you win it”. Martin Johnson perfectly summarized the feeling of all England fans on Saturday afternoon after the hard-won victory over best enemy France 17-9 at Twickenham. Although the Rose's performance was not brilliant, England remains on course for the slam and, most importantly, they've made the defending champions drop their crown. With the number of physical challenges throuhgout the game, this was not a match for lovers of the finer technical game. Indeed, England based its victory on defence and discipline. They took advantage of France's fouls in the first half, consistently penalised by referee George Clancy, and converted into points by baby-faced killer Toby Flood. But so did Dimitri Yachvili on the French side, keeping the score tied at half-time (9-9) as he punished England's absent-mindedness. But England returned to the field raging after half-time, and were immediately rewarded. Within 90 seconds of restarting the game, they took control of the ball, putting an unbelievable pressure upon France, and after a good move by Flood and Cueto, Foden accelerated, flew by Trin-Dhuc, resisted the covering of Aurélien Rougerie, and touched down. England took the lead, and never dropped it afterwards. 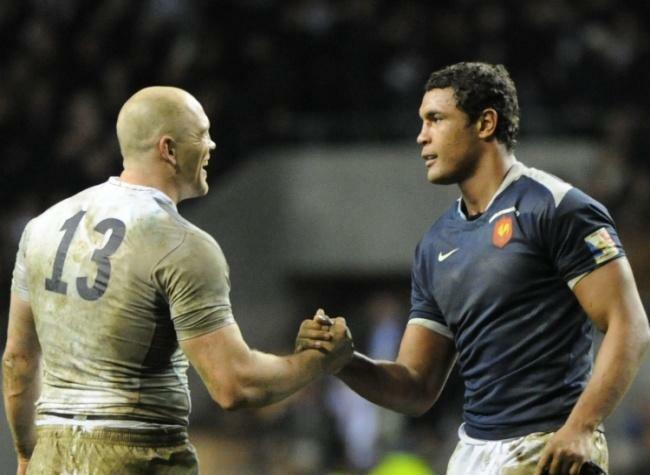 A hard and tough rucking battle, a titanic struggle in the scrums, French imprecisions and indiscipline giving England opportunities to take the lead : the 2011 Crunch was actually quite similar to past English triumphs. But it was even more a déjà-vu when Johnny Wilkinson played once more the role of the executioner of Marc Lièvremont's gang. During the 53th minute, Wilko came on and completed the winning margin by landing a majestic 45 metre penalty with his first touch, overtaking Dan Carter as the leading points scorer in international rugby. 17-9 : the score did not evolve any more. France tried to give reminiscences of French flair, but when they crossed English defensive wall...Rougerie knocked on in the in-goal area. As far as the 6 Nations Tournament is concerned, it seems that England deserves the Grand Slam they have been looking for since 2003. Despite their loss, France have proved their fighting spirit is intact. But this is definitely not sufficient against England, whose performances are much more cohesive and steady. Is it due to the fantastic collaboration between Martin Johnson and the English clubs' managers, who operate under his instruction ? Of course it is. Let's hope les Bleus have learned their lesson, as they are very likely to meet England in the World Cup quarter-finals. It seems they might just draw their inspiration from England's placidity as Marc Lièvremont, who started the week by saying he disliked the English, ended it by quoting Winston Churchill: "Success is the ability to go from one failure to another with no loss of enthusiasm."